Chef Marc Cohen’s South Coast Highway restaurant Watermarc has long been known for its contemporary grazing plates—16 options for light, inventive fare like ahi watermelon skewers and bacon wrapped dates. It should come as no surprise, then, that every wine offered by the glass can also be served by the half-glass (though it’s not noted on the menu), thereby affording an opportune excuse to swirl and sip more than one varietal. 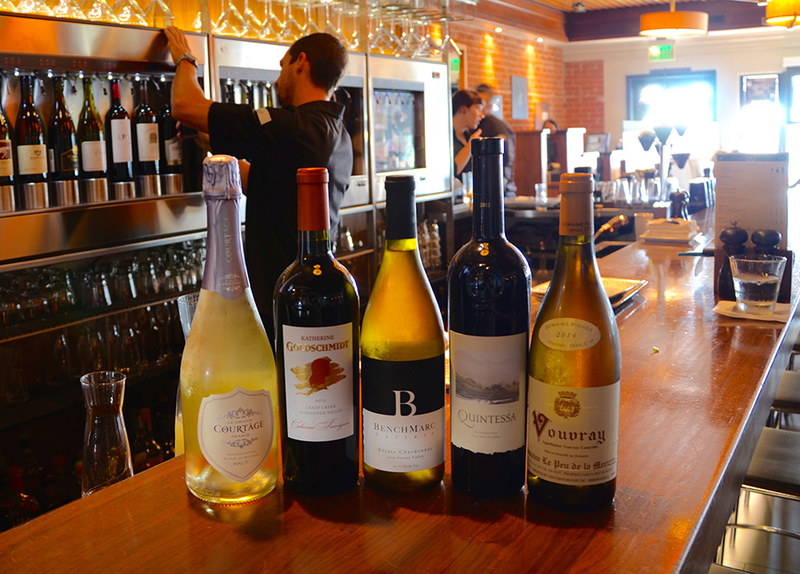 Here, Director of Operations and in-house sommelier Joseph Guillena recommends his top five off the wine list—plus their perfect pairings—so you can make the most out of your experience at the Peppertree Lane hot spot. Listed under “eclectic whites,” this semi-dry chenin blanc from the Loire Valley delights the palate with notes of green apple and honey, boasting sweetness that’s perfect for the start of a meal. “I don’t think we drink enough chenin blanc out here,” Guillena says, recommending the wine with Watermarc’s fried goat cheese. The dish is served with—you guessed it—apples and honey, for a harmonious pairing right out of the gate. San Francisco designer Tawnya Falkner named her sparkling wine after the “great courtship” between French and American wine culture, following a trip to indulge her culinary passions in Burgundy, France a few years ago. The result is a versatile accompaniment that lingers with Granny Smith apples and honeydew, made from grapes sourced in and outside of Champagne, France. “When you look at wine lists and you’re in the sparkling section and you see France … you’re already over $100 basically,” Guillena explains. 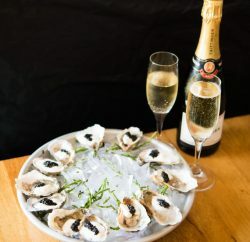 “The reason I love [Le] Grand Cortâge is for a full 750 [-milliliter] bottle, you’re under $50.” Try it with oysters on the half shell topped with an acidic gin and tonic granita that balances nicely with the bubbles. 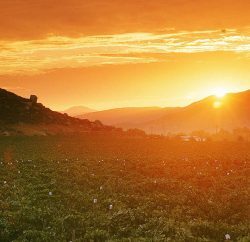 Most people have never heard of the Suisun Valley, though it’s one of the oldest American Viticultural Areas (AVA) in California. The region lies between the Vaca Mountains to the east and the Mt. George Range to the west, and has been historically known for its fruit orchards (and the Jelly Belly factory) until vintners began replanting with grapes and the area received formal AVA designation in 1982. It is from this appellation that Watermarc sources a 2013 vintage produced exclusively for the restaurant—it boasts a slight buttery finish with a fruit-forward profile. 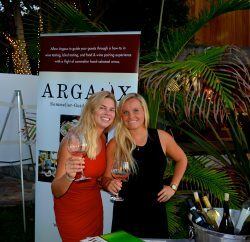 Only 1,200 bottles were made, so sip it while it lasts; the restaurant plans on releasing a new style with a Santa Barbara producer in June.